Illinois' Colonial Cafe has roots all the way back to the 1901 St. Charles Milk Company founded by Simon Anderson. The enterprise evolved throughout the years from a dairy to a restaurant. Various incarnations of snack shops and drive-ins emerged as the family restaurants in the Colonial family today. 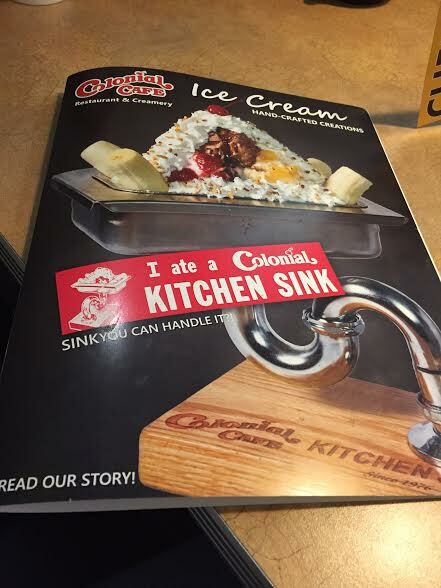 While the local family restaurants feature a large menu, I think Colonial Cafe may be best known for its ice cream -- particularly the Kitchen Sink! Colonial's ice cream menu presents temptation after temptation. If you are not up for the specially crafted creations, you can create your own. I opted to do just that and choose a cookie dough ice cream sundae with peanut butter on top. The peanut butter was nice and thick. The ice cream was perfectly creamy. I certainly enjoyed my treat! The ice cream is churned in Rockford -- so a true Illinois creation! My daughter also opted to craft her own sundae. 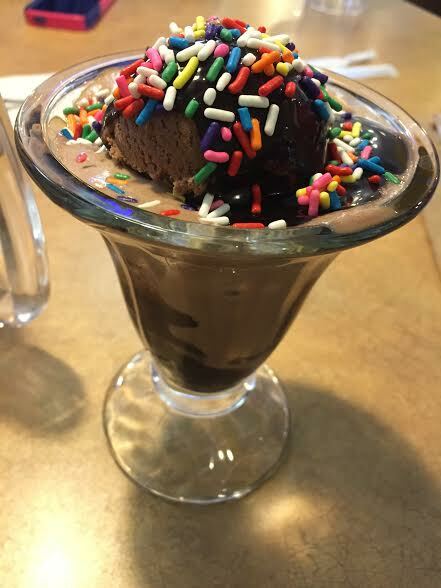 Being the chocolate lover she is, she went for a chocolate ice cream sundae smothered in hot fudge and topped with sprinkles. Yum! 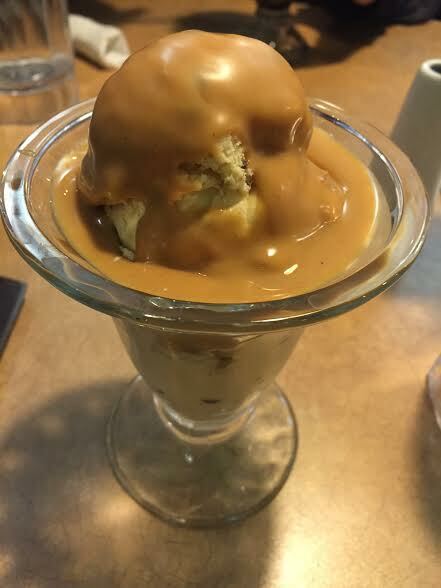 My husband opted for another one of Colonial's famous favorites -- a turtle sundae! 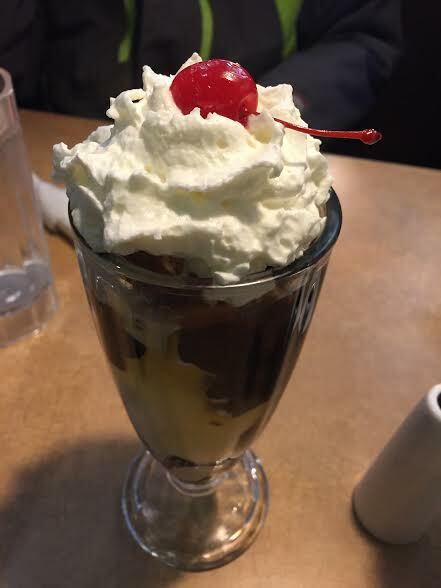 The turtle sundae had been a favorite at Colonial since 1966 so one to try out! My husband is a true fan of anything turtle, so I knew he would choose this one before he ordered! Colonial has two pages packed with ice cream creations to choose from -- including craft your own. Ice cream heaven! 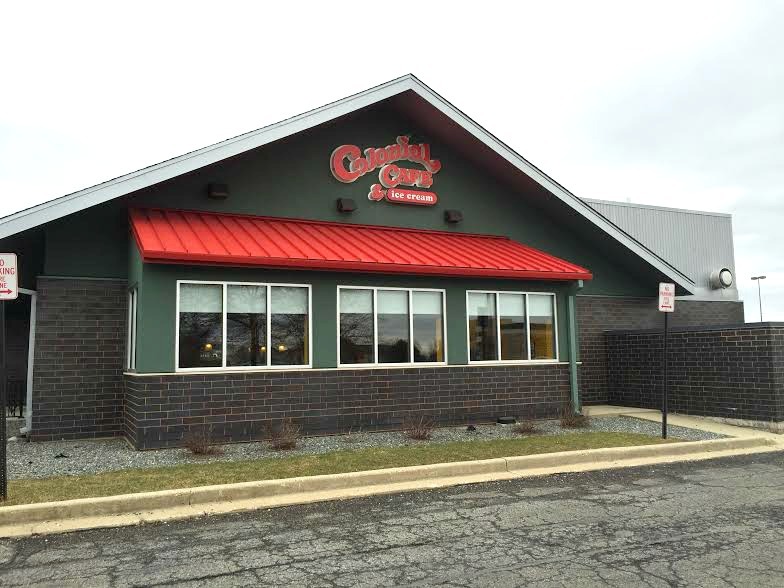 The restaurant family has 7 locations in the Chicago suburbs including Aurora, Crystal Lake, Naperville, Algonquin, Elgin and two in St. Charles. One to keep on your radar!